A device that combined the functions of telephone and television; a phone with a screen. This is a very early reference to this idea. This technovelgy item has been accomplished many times over the years; today's version of teleconferencing over the Internet via webcams is just the latest version. Curiously, it has never really caught on with the public; I wonder if people really want to be seen. 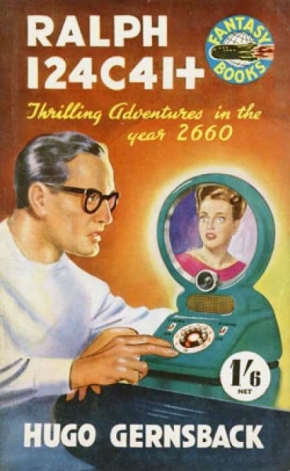 Take a look at this representation of the Telephot on an early cover for the novel.